At Katie B. Photography we love to help our families and have many arrive at their sessions with a trunk full of possibilities or send photos ahead of time for us to weigh in on. We also love recommending our favorite places to shop. 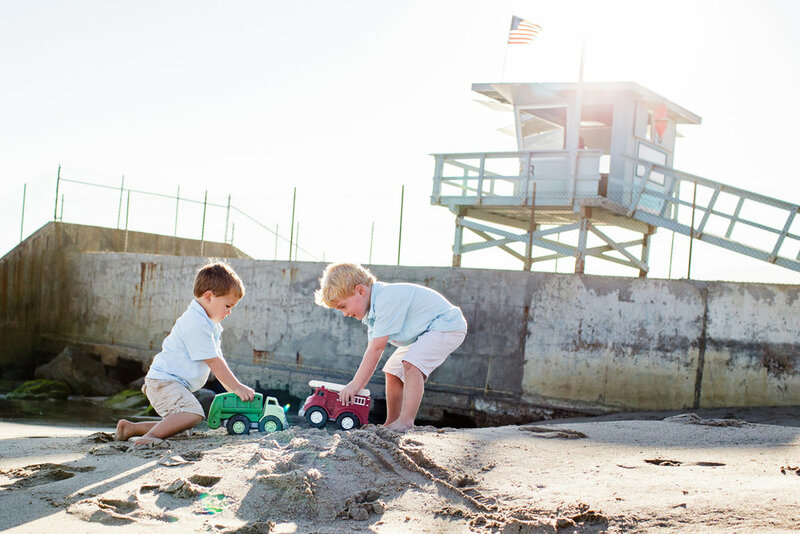 For kids clothes, J Crew Crew Cuts and Mini Boden never disappoints. Gap Kids and Zara also have terrific kids clothes. Going for a "straight out of a catalog" look? Some of my favorites include Busy Bees, Blue Pony Vintage, Alice Kathleen, Jacadi, and Baby CZ. See you at your session!!!! I have been photographing these sisters since the very start of Katie B. Photography -- talk about dressed for success. Here are some examples of matching, in a not quite matchy way... Their first look came from Mini Boden and their second from Busy-Bees. I have photographed these siblings for six years strong and to have watched and documenting them through theyears has truly been a gift... This year we traveled to a beautiful Campus outside Santa Barbara for a bit of variation... To say that I'm looking forward to this year's "lucky seven" session is an understatement! Keep scrolling for a trip down our memory lane! There is nothing I love more than being in Los Angeles that week between Christmas and New Years when the city is OURS... as is the beach... What a great (and super calm) time of year to capture family love... The last time I had seen this foursome was when their daughter was just a year and a half old... It's amazing how much time flies and everyone grows... Love this gang! The Santa Monica Pier is one of my favorite locations, and it was the perfect choice for this very spirited family... We had a great afternoon exploring, playing and snuggling and oh the joy we captured! When I started Katie B. Photography, I would refer to the children a photographed as my "little stars"... Fast forward six years, those little stars have grown up and in the case of these sisters, have become these beautiful young women... We had such a fun afternoon playing dress-up and creating these wonderful images... Love, Love, Love!!! !